The Jammu-Srinagar highway was opened for one-way traffic from Jammu to Srinagar on Monday. First heavy vehicles will be allowed and later the light one, an official said. 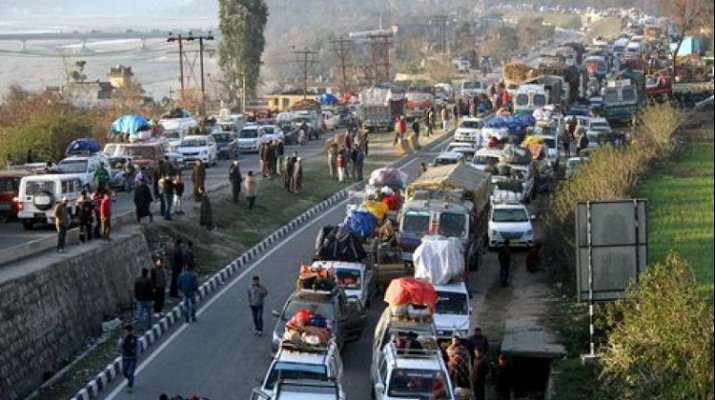 In addition to over 3,000 trucks carrying essential supplies to the Kashmir Valley, scores of valley-bound passengers had remained stranded on the highway.